Most popular tool in the activity of photography is the camera. In the world of photography, the camera is a tool to establish and record an image on a sheet of film portraits. Meanwhile, the television camera, the lens system forms an image on a light-sensitive plate. These plates will emit electrons into the target plate when exposed to light. Then, the electron beam is treated electronically. The camera usually consists of a light-tight box (camera body), lens system, the lighter portrait (shutter), and other parts. Camera body is a light-tight room, but connected with a lens which is where the only light inside. Here, the light focused by the lens will be set to the right about and burn movies. In addition, there are other additional equipment. Lens system is mounted on the front of the pit box in the form of a single lens made ​​of plastic or glass, as well as a number of lenses in a metal cylinder. Light blockage level is denoted with the letter f (relative aperture). If the openings are relatively lower, the greater the smaller the opening or penghalangannya level. Aperture diaphragm is set by the window. SLR camera lenses are usually equipped with a regulator aperture diaphragm to adjust the amount of light entering the photographer as you wish. Shutter or button mounted on the back of the lighters portrait lens or between the lenses. Most SLR cameras have a timer mechanism to vary the shutter opening time. In addition to these three components, there are also other additional components. Additional components of the camera are as follows. - Mechanisms play the movie rolls that make parts of the movie alternately be exposed on the object. - Focal mechanism for varying the distance between the lens and film. - Range finder or a scanner composition that serves photography shows what will be photographed, and whether the main object will be focused. - Lighmeter who helped set shutter speed to produce a perfect picture. The camera uses a celluloid film. In this band there is silver halide grains are very sensitive to light. At the time of the washing process the film, silver halide is exposed to light with the right size, will go black. Meanwhile, the silver halide that size is not appropriate, will be dissolved with the liquid developer (developer). The types of films based on the size are as follows. The types of films based on the material and the sensitivity is as follows. The digital camera is a tool to create images of objects and refracted through the lens to the CCD sensor. After that, the results are recorded into a digital media store. Digital camera works without using film. To manangkap an object, the photographer can easily be aimed at him without using a window view. LCD screens mounted in the rear view camera is a replacement window. This camera uses iternal memory or external memory using memory cards as storage media. - Digital camera SLR (Single Lens Reflect Digital Camera). Still camera (for capturing still images). Webcams (digital camera connected to a computer and used for video teleconferencing and other purposes). Now, the camera is so close to our lives. If when we go to a place or an event, we will almost certainly bring a camera to capture the moment in pictures. However, many cameras are still too large to fit into pants or shirt pocket. Therefore, we need a camera bag. Moreover, if our camera is equipped with equipment of other appliances, such as data cables, replacement lenses, lens cleaner, and others. In order for our camera safe from damage inside the bag, then we need to choose the right bag and the right way to use it. Here are tips on how to choose the right camera bag. Get your camera bag with the right size. 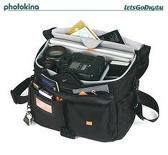 Choose a bag that is capable of carrying a camera as well as equipment or accessories. You may not always use all the accessories, but you also never know when to use it. The best way is to bring all the complementary accessories in one bag. One characteristic of a good camera bag is to have a lot of space. This is to save the camera parts separately. If you remove the lens, remove the battery, and other parts and then store in a single room in the bag, it was a big mistake. Because at the time was taken, parts of the camera will rub against each other directly. This could result in damage. Instead, store the camera parts separately. For this reason, the camera bag with lots of space is more advisable to choose from. Bags should be roped sturdy, but not stiff. Strong rope that will avoid the possibility of break up when the bag was taken. Likewise with the material. A good material is not only resistant to wear and tear, but also resistant to scratches. Leather bag with pretty good at it. A good camera bag should also be easily opened and closed easily as well. That is, access to / take it easy, as well as access to store it back in the bag. For easy and comfortable, hook and loop method is often used. But to get the cap and opening the safe, strong zippers also often be an option. Zippers are used if you're using a camera with inactivity. Make sure you choose a camera bag resistant to water. If you rain or other matters relating to the wetness, keep your camera safe. Check every room in the bag. Usually the waterproof bag lined with aluminum foil or the like. Also make sure there are no other material, such as buttonholes, which could be breached by the water. Well, hopefully by choosing the right camera bag, you can secure the camera from damage. Price camera is not cheap. Maintaining that there is better than always buying new ones. Welcome to choose! This bag contains what is needed by the camera. Because supplies are so fragile camera, camera bag shaped to fit the camera body. Both the body is intact, as well as pairs that have been dismantled. In the camera bag, in addition to the various stored body reserves, also reserve the lens. Camera cleaning tools. And when fit, is also in it tersempil portable tripod. The camera in question here is of course not a pocket lens. But do not underestimate the pocket lens. Sometimes in the hands of professional photographers, in a camera bag pocket is always available in a variety of lens type. The three legs are actually responsible for maintaining the stability of the camera. A hand held camera man, if it does not have the technology vibration free, will always move and vibrate, resulting in reduced image sharpness. And considering the technology antigetar not in the know on the previous decade it was created a tripod. Metallic form of a number of three-foot metal rod that diberdirikan for that purpose. Results of a tripod is always a maximum, since nearly all teredusir vibration, making a photographer to be more freely again in a clean produce work. That work is so high picture sharpness. Umbrellas are used not only blocking the rain. If we err umbrella we can use to hit the pickpocket by, but the situation was rare. Then ask the photographer what other functions besides an umbrella, holding the blazing heat, and rainfall. They will answer immediately that the umbrella is useful for the installation of photographic images. Especially helpful flashbulbs from photographers, and also helpful for the function of the arrangement of lighting lamps. Blitz said the Englishman, or byaar say Java, the Sundanese preeet said. All three mention of the explosion of a flash of light coming from the camera flash. The light came persekian seconds, making objects that rivet, dim, gloomy light becomes less bright and clearly visible what is hidden in the dark. Artificially generated light flash, helping photographers working to determine the use of light space itself. Thus, the flash was a variety of types and functions. Not as simple as explaining a darkened room to be taken pictures. "On the radio .. I hear your favorite song ... "
Ever heard the lyrics in a song? That's the first lyrics of the song "Kugadaikan Love," which was sung by Alm. Gombloh. Not only that, the lyrics about the Radio are also in the song The Cors with the title "Radio", in bring with merdunya by the band's vocalist, Andrea Jane. Remember Where We used to go ... "
Music is a lot we can find on the radio, mp3, tapes etc.. Music and radio have a bond of inter-related. Many who love music but still few know how to work, history and development of radio. Utilize technology in a working radio signal sender in the form of electromagnetic radiation waves are also modulated. Modulation can be interpreted as a change process that can produce a periodic wave signal that can carry a message or information. While the waves of electromagnetic radiation is one of the transverse wave. Electric and magnetic fields to make a combination and then pass through a chamber which causes the formation of waves of electromagnetic radiation. Radio was first discovered by a young Italian Named Gugliemo Marconi, 1895. Marconi was originally believed that electromagnetic waves are invisible to propagate through the air by utilizing the speed of sound in the experiments conducted by Heinrich Hertz, can be used to send information to the signs that can traverse long distances by relying on the speed of sound. Radio was first used as a sender of messages and news to the ships at sea. Radio also ultimately help save the passengers and crew S. S. Republic that were damaged and sunk in 1909. Since then, the use of radio is very important to the field of maritime affairs even in the event of war. The more time passes, more and more diverse radio functions. Starting from the transmitter of news, entertainment media (music, voiceover, mp3, cassette, etc. ), to help research, military, helping police duties and various other functions. This wire-free communication that ultimately come to inspire invention of the television. So instead of things that need to be refuted again if in the end the radio part of the world inspire a lot of entertainment that we can enjoy all this.